Director of Vodokanal St. Petersburg Mr. Felix Karmazinov handing out a diploma to Mr. Nurminen at the closing ceremony of the St. Petersburg WWTP in year 2011. The woolly red diver’s cap was the trademark of the legendary diver Jacques Cousteau. Juha got his red cap when he was invited to become a honorary member of the Finnish divers´guild. SYK alumni of the year, one male and one female, have been elected since 2013. The choice is made by SYKE ry, the alumni association of Helsingin Suomalainen Yhteiskoulu (SYK). The award, granted jointly to Mr Nurminen and his spouse, non-fiction author Marjo T. Nurminen, was for distinguished publication work in the field of cartographic history. Tämän vuoden toukokuussa säätiö sai kertoa todellisen kartografian jymyuutisen, kun kunnianarvoisa Lontoon Royal Geographical Society (Kuninkaallinen maantieteellinen seura) myönsi Marjo T. Nurmiselle ja Juha Nurmiselle Fordham Award -pal­kinnon pariskunnan yhteisestä karttojen kulttuurihistoriaan liittyvästä tutkimus-ja kirjoitustyöstä. Seuran johtaja Rita Gardner luovutti palkinnon Royal Geographical Societyssä (RGS) 13.10. järjestetyssä juhlatilaisuudessa. The Helsinki medal, awarded by the Helsinki City Board on 9 May 2011, is the city’s highest acknowledgement of important work for the city. Tarja Halonen, the President of Finland, awarded the title of Maritime Counsellor to Juha Nurminen on 26 November 2010. On 16 September 2009, Sukeltajakilta ry (divers’ guild) invited Juha Nurminen to become their honorary member no. 2. The first honorary member of the guild is the late diving legend J.Y. Cousteau. 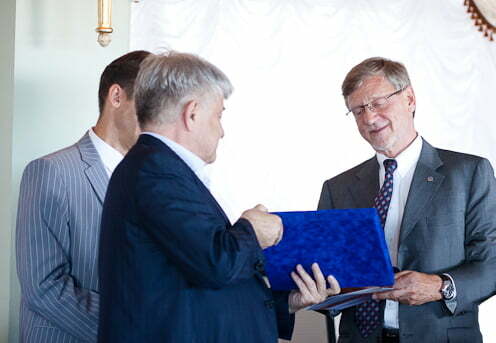 The City of St. Petersburg awarded Juha Nurminen an honorary diploma for years of meritorious cooperation with the water utility of St. Petersburg, working to protect the Baltic Sea. On 4 June 2009, Chief of Defence, Admiral Juhani Kaskeala granted Juha Nurminen the Medal for Military Merits. As proposed by the Committee for Public Information, the Minister of Education granted Juha Nurminen the State Award for Public Information for his many-sided life’s work involving the history, culture, and protection of the Baltic Sea. 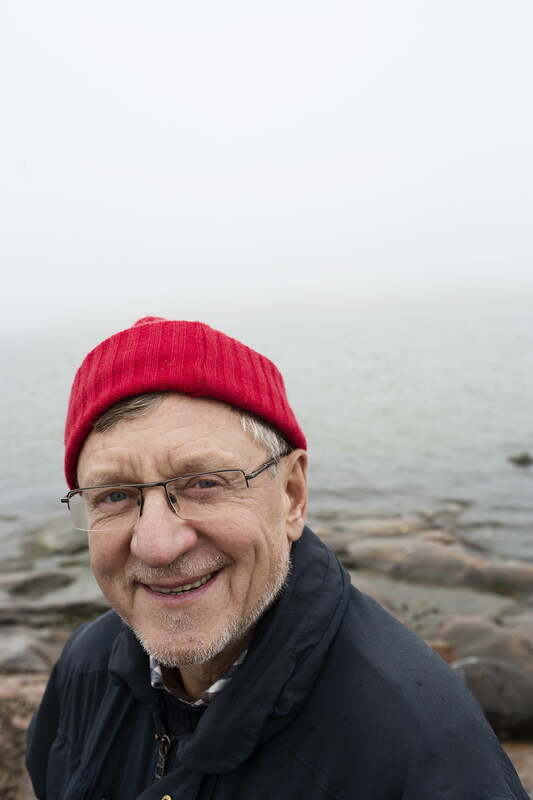 His life work has been extensive, adding to available information as an active stakeholder in these areas through writing, exhibitions, and projects that seek to improve the status of the Baltic Sea. The Commander of the Navy granted Juha Nurminen the Cross of Merit no. 19 for his exemplary actions in promoting the aims of voluntary reserve operations in naval defence. The Blue Reserve preserves naval military traditions and promotes naval military skills; with this medal, the Blue Reserve emphasizes the importance of the continuous maintenance of marine national defence capability and spirit, an integral part of safeguarding the independence of our country. This medal was granted to Juha Nurminen by the Finnish Orthodox Church in recognition of his participation in an aid project that spanned several years, transporting significant amounts of medicines and hospital equipment from the Finnish pharmaceutical industry to be distributed and used by the hospital network of the Orthodox Church in the Middle East. Lieutenant commander. During his time in military service in 1965 – 1966, Juha Nurminen served e.g. on the training ship frigate Matti Kurki, as well as on minesweepers and motor gunboats. During reserve duty, he has been an active participant in national defence work, taking up various tasks in the navy and later in Defence Command.